Epson Print Admin is a server-based solution that creates a secure printing, scanning and copying environment through user-authentication with card readers, logins/passwords and PIN codes. It also offers additional features such as ‘scan and send to me’, user education notifications and enhanced administrative tools that provide welcome boosts to productivity, environmental goals and efficiency. 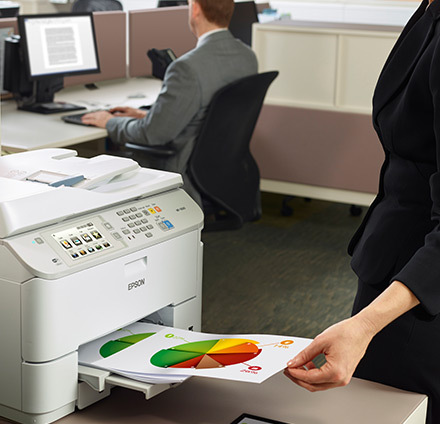 No piles of paper lying around printers thanks to easy selection of which documents should be printed - documents follow users to the printer, eliminating the most common cause of print waste while increasing document security. Every rule can cause a notification to be sent to the print job’s owner - this notification is an easy way to educate users about responsible behaviour, such as when printing large documents in colour.